Paolo comes from Italy- His talent was discovered by Marcel Dadi in 1996 and since then he shared the stages with a lot of great names of the international acoustic guitar scenario as Don Ross, Antoine Dufour, Michael Manring, Jacqueline Perkins and William Ackerman. In 2016 he created the “fingercussion connection” on www.fingercussion.com the new site devoted to percussion guitar techniques. 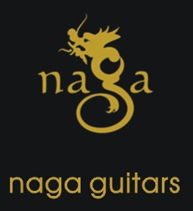 During the 2014 he played in Hong Kong, Bejing, Xian, Singapore, Kuala Lumpur in a long Asian guitar tour with Masa Sumide organized by the Naga Guitar Company. Two times was invited to play for the International Fingerstyle Guitar Nights in Shanghai. He played also on the main stage of the most important Italian guitar Festival like Soave (2011) San Severino Blues (2007/2011), Paese a Sei Corde (2011/2012) and AGMI Sarzana (2004) a lot of shows in Europe, between Holland, Austria (with Thomas Leeb), Italy and the Balkans. Very often he is also in trio with Violin (Andrea Costa and Leo Gadaleta) and Sax (Stefano Fariselli) playing his own compositions and swing rock standards. He is art director of music festivals in Italy and collaborates actively to guitar magazines and blogs. 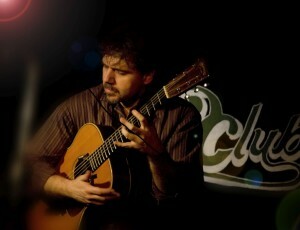 In 2006 he created the Movie Concert: a solo concert for guitar and beamer entirely dedicated to the famous movies soundtrack and he is author of a Method on Superpicking and Fingercussion guitar (2004) and came out with three CDs: “Con la Chitarra” 2002, “The Movie Concert” 2009 and “Vulcano!”2012 produced by Max Tonti and printed by Windstrings publications.